Over the past thirty years, Billie’s Brighton has become a Brighton institution. The current owners, brother and sister team Lisa and Dominic, have been there for nearly eleven years serving their loyal customers. We think Billie’s serves the best breakfasts in Brighton. 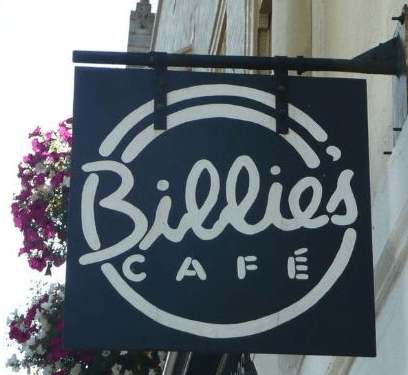 Billie’s is a cosy, family run cafe tucked behind Brighton’s main shopping area. It is a perfect place to relax, enjoy some fantastic food and people-watch or enjoy the paper. Famous for their very generous portions and excellent quality, they serve local handmade sausages, free-range eggs, fair-trade organic coffee & teas plus a wide range of vegetarian/vegan meals. For fantastic food and super friendly service, it’s too good to miss. 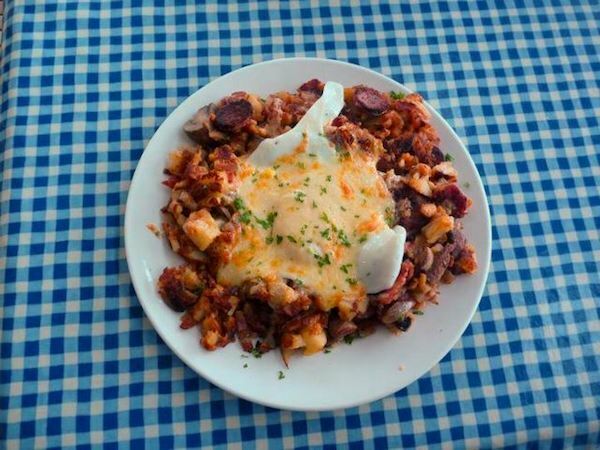 Billie’s famous hashes are a tasty and filling house specialty. All hashes made to order with various toppings and ingredients mixed with a base of lightly sautéed potato & onion. The toppings range from classic full English style breakfast through to Mexican and Irish inspired ingredients. 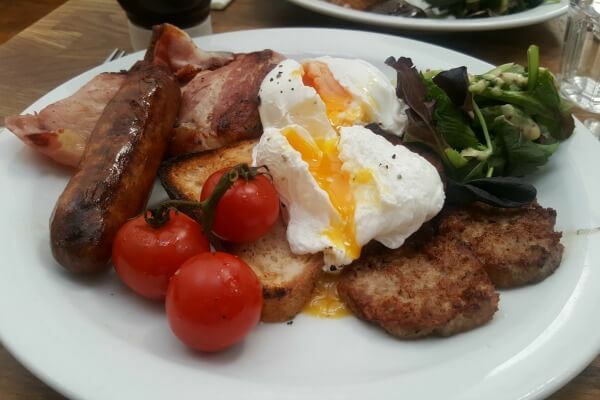 If hashes are not your thing then Billie’s also offers a full menu of breakfast, brunch and lunch dishes that all utilise locally sourced ingredients from independent suppliers. Billie’s is not your average greasy spoon café with a dingy interior and copies of tabloid newspapers on every table. The bright and spacious dining area makes best use of the large windows, which draw in plenty of light, with a colourful interior and flower boxes adding a little natural beauty. On the walls you will find pictures by local artists, even some staff, which are available to purchase. Billie’s are always interested in hearing from local artists and so don’t hesitate to ask if you want to see your artwork on the walls. A Brighton benchmark of excellence for a quality breakfast. Family run, always packed so get there early. Highly recommend if you are in this part of town.